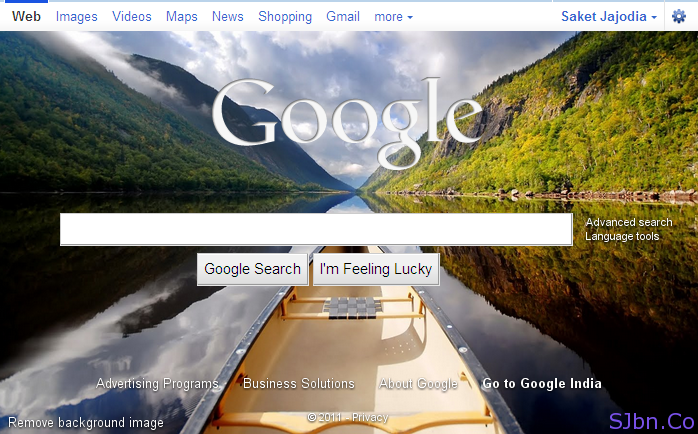 Today in this post I will tell you how you can change your Background of your Google Homepage. All of you must see changing Google’s Doodles frequently on that same white background. Have you ever wanted to change that white background instead of seeing new Google’s Doodles? Now it is possible to change Google’s homepage white background with different images and make Google’s Doodles logo in to white instead of multi colors. Now you will see Google.com homepage background is changed. And to continue see that background you need to login to your account, if you logged-out from your account you will not be able to see any background and it will come in its default mode till you don’t login again. To remove background click on Remove background image (same place where you show option to change background). To change background you need to first remove your old background then you can again give a new background.